Since fixtures are made to order there are seldom any available to be seen. If you are interested in glassware, there is usually a variety of glass shades and chimneys on hand for inspection or to try on your lamps to see which might be most appropriate. 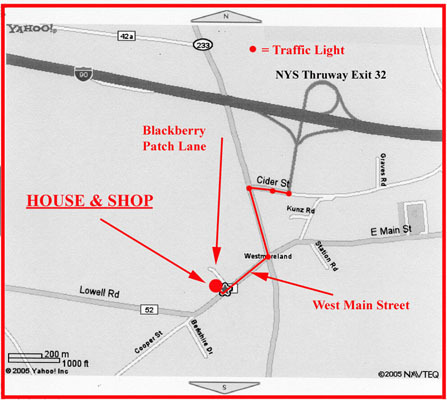 The shop is located in upstate New York about 30 miles east of Syracuse and 100 miles west of Albany. It would be best to call ahead to discuss the reason for your visit and to make an appointment.